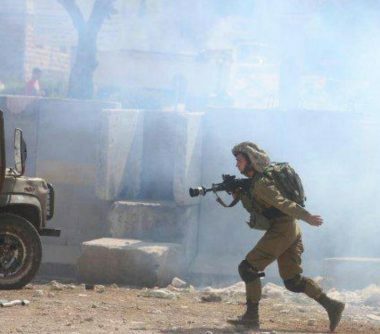 Israeli soldiers fired, Tuesday, several gas bombs at a school for girls in the al-Mughayer village, northeast of the central West Bank city of Ramallah, causing many schoolchildren to suffer the effects of teargas inhalation. Marzouq Abu Naim, a member of al-Mughayer Local Council, said dozens of soldiers were stationed near local high school for girls, and fired dozens of gas bombs and concussion grenades at the students, and their school. He added that many schoolgirls were unable to reach their school due to the heavy Israeli military deployment, while others were trapped in their schools. Dozens of girls suffered the effects of teargas inhalation, before local medics rushed to the area, and provided them with the needed treatment. In addition, the soldiers invaded many neighborhoods in the village, and prevented scores of Palestinians from leaving their homes. 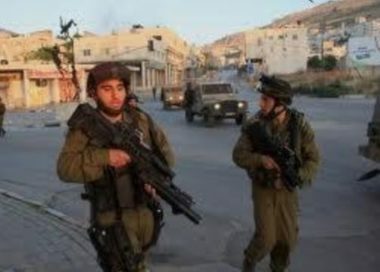 On Tuesday at dawn, the soldiers abducted five Palestinian men from their homes in the West Bank governorates of Hebron, Ramallah and Qalqilia, during violent invasions and military searches of homes. Also in Ramallah, the soldiers demolished an under-construction home in Jibiya Village, north of the city. Furthermore, the soldiers abducted eight young Palestinian men, including a former political prisoner, from several parts of occupied East Jerusalem.